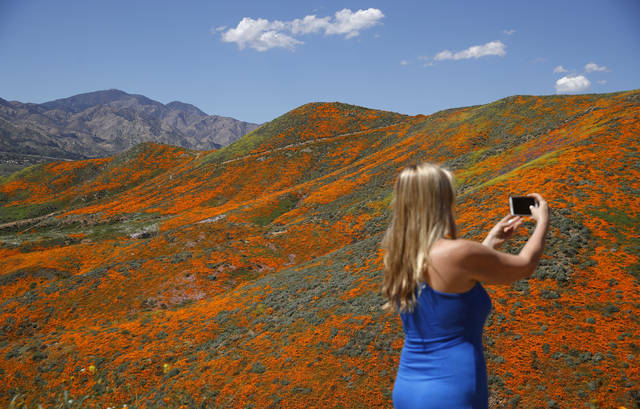 LAKE ELSINORE, Calif. (AP) — Like Dorothy in the “Wizard of Oz,” the Southern California city of Lake Elsinore is being overwhelmed by the power of the poppies. 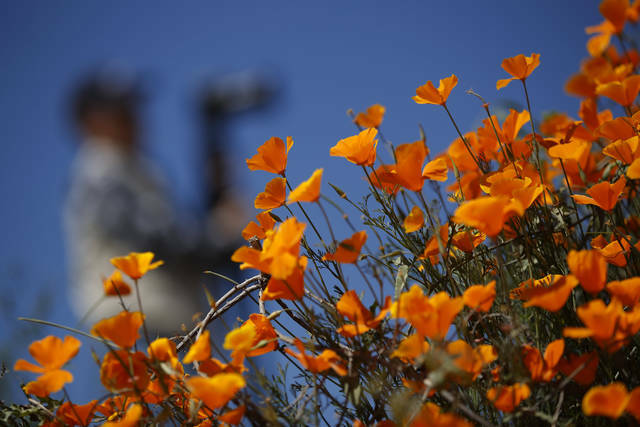 WASHINGTON (AP) — In a stunning rebuke, a dozen defecting Republicans joined Senate Democrats to block the national emergency that President Donald Trump declared so he could build his border wall with Mexico. The rejection capped a week of confrontation with the White House as both parties in Congress strained to exert their power in new ways. Two years into the Trump era, a defecting dozen Republicans, pushed along by Democrats, showed a willingness to take that political risk. Twelve GOP senators, including the party’s 2012 presidential nominee, Mitt Romney of Utah, joined the dissent over the emergency declaration order that would enable the president to seize for the wall billions of dollars Congress intended elsewhere. Many senators said the vote was not necessarily a rejection of the president or the wall, but protections against future presidents — namely a Democrat who might want to declare an emergency on climate change, gun control or any number of other issues. Thursday’s vote was the first direct challenge to the 1976 National Emergencies Act, just as Wednesday’s on Yemen was the first time Congress invoked the decades-old War Powers Act to try to rein in a president. Seven Republicans joined Democrats in halting U.S. backing for the Saudi Arabia-led coalition in the aftermath of the kingdom’s role in the killing of journalist Jamal Khashoggi. Even though there’s not likely to be enough numbers to override a veto, the votes nevertheless sent a message from Capitol Hill. The result is a role-reversal for Republicans who have been reluctant to take on Trump, bracing against his high-profile tweets and public attacks of reprimand. But now they are facing challenges from voters — in some states where senators face stiff elections — who are expecting more from Congress. Trump’s grip on the party, though, remains strong and the White House made it clear that Republicans resisting Trump could face political consequences. Ahead of the voting, Trump framed the issue as with-him-or-against-him on border security, a powerful argument with many. “A vote for today’s resolution by Republican Senators is a vote for Nancy Pelosi, Crime, and the Open Border Democrats!” Trump tweeted. “Don’t vote with Pelosi!” he said in another, referring to the speaker of the House. A White House official said Trump won’t forget when senators who oppose him want him to attend fundraisers or provide other help. The official spoke on condition of anonymity because they were not authorized to speak publicly on internal deliberations. The Constitution gives Congress the power of the purse, and lawmakers seethed as they worried about losing money for military projects that had already been approved for bases at home and abroad. The Democratic-led House swiftly voted to terminate Trump’s order. Senate Republicans spent weeks trying to avoid this outcome, up until the night before the vote, in a script that was familiar — up until the gavel. The most promising was an effort from Sen. Mike Lee of Utah for legislation that would impose limits on future presidential actions. That would give senators some solace as they allowed Trump’s order to stand. GOP senators huddled with Vice President Mike Pence and seemed optimistic the White House might support their plan. Then Trump called Lee in the middle of a private Republican lunch meeting and, in the time it took the senator to step out of the room to take the call, it was over. Trump was opposed. Lee and other senators were peeling off against the president. In a last-ditch effort the night before the vote, Lindsey Graham and other senators dashed to the White House to try once again for Trump’s support to broker an alternative plan. Trump was frustrated by their arrival. They mostly failed. Tillis had been one of the first senators to say he would oppose the declaration, writing in a Washington Post opinion column last month that there’d be “no intellectual honesty” in backing Trump after his repeated objections about executive overreach by President Barack Obama. But on Thursday, he did. Trump’s public support in that tweet also helped bring on board several other Republicans, including Ted Cruz and Ben Sasse, who had been part of the private huddles, the person said. Associated Press writers Mary Clare Jalonick, Jill Colvin, Padmananda Rama and Andrew Taylor in Washington and Marc Levy in Harrisburg, Pennsylvania, contributed. For years now, President Trump has prioritized border security above all else. And for good reason: We have a state of emergency at our southern border. That is why the American people continually state illegal immigration as one of the top problems facing our country. Unfortunately, congressional Democrats are ignoring their constituents and illegal immigration writ large. Not only are Democrats preventing Trump from constructing the border wall, but they have also taken to smearing law enforcement agencies and the public servants who keep Americans safe. Rep. Alexandria Ocasio-Cortez of New York recently described Immigration and Customs Enforcement as a “dangerous agency,” vowing to defund ICE and eventually abolish it. Unhinged by the Trump presidency, Democrats like Ocasio-Cortez have even argued that Latino people should be exempt from immigration laws because they are “native” to the United States. In other words, these Republican senators are accepting the status quo — an unsecure border that costs American citizens, in the realist of terms. America is now home to more than 22 million undocumented immigrants — the equivalent of Australia’s entire population. And they do not come cheap to the American taxpayer. According to the Federation for American Immigration Reform, the total cost of illegal immigration — at the federal, state and local levels — comes out to nearly $135 billion annually. Meanwhile, undocumented immigrants contribute only about $20 billion in federal, state and local taxes. Of course, illegal immigration’s economic burden is just the tip of the iceberg. There’s also the crime: The Texas Department of Public Safety reported that, from 2011 to 2018, 186,000 undocumented immigrants were booked into local jails and faced 292,000 charges. We’re looking at thousands of assault cases, weapons charges and homicides — in Texas alone. In one recent year, Border Patrol agents in San Diego confiscated almost 83,000 kilograms of marijuana, cocaine, methamphetamine and heroin from the three ports of entry in that area. Laredo, Texas, was a close second, as law enforcement agents seized just in excess of 70,000 kilograms of drugs. These drugs make their way from South America to states all across America, ravaging local communities and putting American families at risk. Illegal immigration is not just a problem for California or Texas — harsh consequences are felt in New Hampshire, West Virginia and countless other states. Fortunately, Trump is doing his best to solve the problem. After the Trump administration implemented a “zero tolerance” crackdown on illegal immigration, border drug prosecutions took a nosedive. The number of people charged under drug-trafficking laws dropped by 30 percent along the southern border. In fact, federal prosecutors charged fewer people with drug-trafficking violations than at any point since the early 2000s. We can only solve the problem from a position of strength. 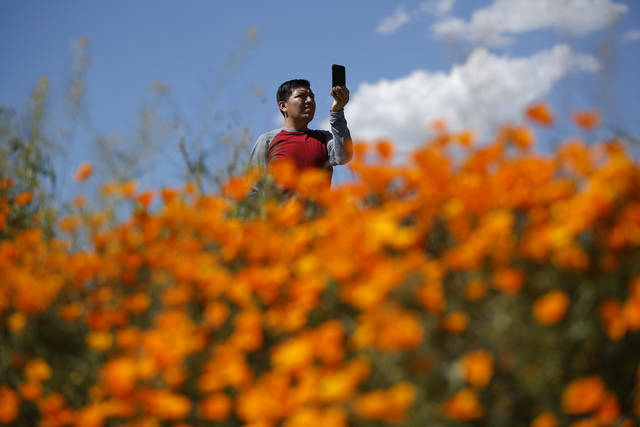 And we need that now more than ever: Federal authorities expect another surge in illegal immigration this year, as the winter turns to spring and summer. Last month, law enforcement agents detained more than 70,000 migrants — up from 58,000 in January. What we don’t need is weakness, especially coming from Republican senators. Those who fail to support border security aren’t just letting down Trump; they are letting down the American people. The status quo is no longer acceptable. Our national security is at risk. It’s time for leadership. It’s time to build the wall. Ted Harvey is chairman of the Committee to Defend the President. He wrote this for InsideSources.com. Washington has devoted considerable attention to our nation’s southern border in recent months. But whatever one’s opinion of the current political impasse, the debate at hand has failed to include enough meaningful consideration of how to address the factors that are driving migrants to leave their homes for the United States. The challenges facing Central American nations such as Honduras — where another migrant caravan recently departed for the United States — are significant. Gender discrimination, lack of economic opportunity and corruption loom large over day-to-day life. Rampant gang violence and extortion make even simple security far from certain. Woefully inadequate infrastructure further detracts from quality of life. More than 60 percent of the region’s roads are unpaved — significantly more than emerging nations. Two-thirds of the region’s sewage is untreated, and the World Health Organization finds that a lack of clean drinking water and poor sanitation are the region’s second leading cause of death among children. Energy infrastructure in particular is severely lacking — and this is exacerbating other challenges faced by the region. The region’s grid is unreliable, plagued by one of the highest rates of power loss in the world. And the Central American pipeline network is not only unreliable but also a boon for the criminal actors that already wield far too much power in the region. In Mexico, for instance, a rash of fuel thefts — so sophisticated that they are said to have their own depots and a reliable clandestine distribution network — have led the government to restrict pipeline deliveries. Citing a loss upward of $3 billion annually, the government has imposed restrictions that have forced consumers to line up at gas stations for days on end for the right to buy badly needed fuel. The Mexican administration attempted to address the threat by implementing a system that instead relies on tanker trucks to deliver fuel. And while the system has generally been regarded as well-intentioned, its success has been constrained by a lack of education, unreliable supply in distribution centers, and an insufficient number of trucks. Pipeline infrastructure can be effectively secured, but doing so requires expertise, vigilance, and real partnership and collaboration between the public and private sector. The American government, in concert with U.S. industry leaders, has the type of hands-on experience that can help to address the challenges facing Latin American pipeline infrastructure. Steps like enhanced and automated monitoring, improved controls, risk detection and more are established elements of American pipeline security that could, with enhanced collaboration and partnership, be applied at scale in Latin America. Based on these studies, it is clear that pipeline networks should be a preferable method of energy transportation and can greatly contribute to a more efficient, more environmentally friendly means of delivering oil and natural gas. The Central American need for assistance reaches beyond infrastructure to broader economic development. The United States has both the opportunity and the ability to play a role in delivering that assistance — and it should capitalize on that prospect in a timely manner not just for the good of the region but also in the interest of its own diplomatic standing. The United States can and should do more, in cooperation with partners like Mexico, to support economic development in Central America. Key investments in infrastructure, especially in the energy sector, have the ability to address the root causes of the problems that challenge people on both sides of the border. Through collaboration with the private sector, the United States has the opportunity to lead — providing enduring, sustainable benefits to all. As the border debate rages on, Americans must not lose sight of the true humanitarian crisis that is driving migrants northward — nor should we lose sight of what we can do to help. Tom Magness (U.S. Army colonel, retired) served as a commander in the U.S. Army Corps of Engineers, and he is the founder of the Eagle Leadership Group and currently acts as a strategic adviser to the Grow America’s Infrastructure Now Coalition. He wrote this for InsideSources.com.